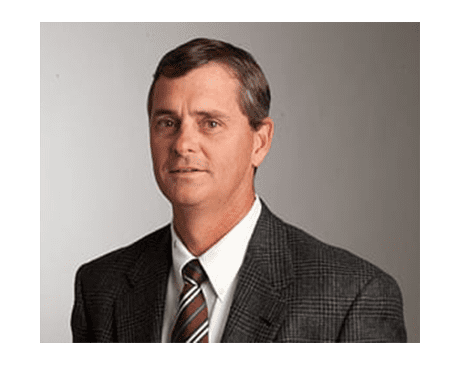 Michael J. Champine, MD, is a board-certified orthopaedic surgeon, specializing with hip and knee replacements, on the team at Texas Orthopaedic Associates, LLP. He sees patients at the Walnut Hill Lane location in Dallas and is fellowship-trained in adult reconstructive surgery. Dr. Champine graduated from Texas A&M University in College Station, Texas, before going on to earn his medical degree from the University of Texas Health Science Center in San Antonio. He continued his education at the University of Texas Southwestern Medical Center in Dallas, where he completed an internship in general surgery and a residency in orthopaedic surgery. Finally, he completed his fellowship in adult reconstruction at the University of Colorado Health Science Center in Denver, where he subsequently served as an instructor in orthopaedic surgery. Dr. Champine is currently an associate clinical professor at the University of Texas Southwestern Medical Center in Dallas and an assistant clinical professor at the University of North Texas Health Science Center in Fort Worth. Dr. Champine has always thrived at the top of his field. He graduated valedictorian from both high school and undergrad and was elected to the Alpha Omega Alpha Medical Honor Society, the Phi Beta Kappa Phi Honor Society, and the Beta Beta Beta Biological Honor Society. He’s been on D Magazine’s list of Best Doctors in Dallas since 2001 and Texas Monthly’s Super Doctors since 2005. He was also a particularly skilled athlete growing up, playing on the all-district basketball team and the all-district baseball team in high school, and placing runner-up as the South Texas athlete of the year. This experience lends him unmatched empathy when working with athletes. Dr. Champine is highly skilled in the most advanced orthopaedic procedures available today, such as minimally invasive hip replacement, minimally invasive knee replacement, two-incision hip replacement, quad-sparing knee replacement, partial knee replacement, and computer-assisted surgery. He also has substantial experience with the most current implant technologies, such as metal-on-metal hip replacement, hip resurfacing, ceramic hip replacement, and rotating-platform knee replacements. Dr. Champine is married to a radiologist, with whom he has two young children. He enjoys watching, coaching, and playing all sports as well as enjoying life on Cedar Creek Lake.